If you are pregnant and not able to sleep comfortably – you are most certainly not alone. Almost all pregnant women find it difficult to sleep during pregnancy. Why Is It Difficult To Fall Asleep During Pregnancy? No matter which trimester you are in – it is difficult to be comfortable during pregnancy. Throughout pregnancy one of the main reasons it is difficult to sleep is because of the hormone Progesterone that is circulating in your body. Progesterone is one the most important hormones in pregnancy. Progesterone is required to keep your uterus and your growing baby healthy. But Progesterone also makes you sleepy and tired so that you conserve your energy and your energy can be utilized for baby building. But progesterone makes you sleepy during the day so that you don’t run around. And as a result of rest and reduced activity during the day you are not tired enough to fall asleep instantly at night. And that is why you stay awake at night. During the first trimester – you may stay awake because of nausea and vomiting and vivid dreams. Also read What to do about vomiting during pregnancy. In the second and third trimesters you may stay awake due to your bulging belly that does not allow you to find a comfortable posture to sleep in. 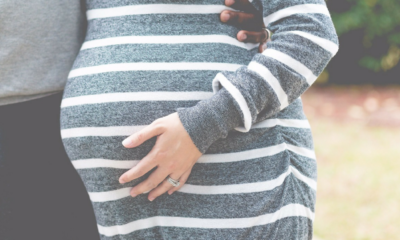 In the last trimester – because of the big baby that is occupying your abdomen you may suffer from gastritis because your stomach is being compressed. In the last trimester you may also find it difficult to sleep because of the innumerable trips that you need to make to the bathroom because the baby is pressing down on your urinary bladder. Backaches and leg cramps may also keep you awake. Even if you know that not being able to fall asleep is a normal thing in pregnancy – it is still very annoying to lie awake when everyone else around you is fast asleep. So do the following to sleep better. Try and get a little bit of moderate exercise during the day. Don’t tire your self out with the exercise. Just exercise so that your body and mind feel refreshed. It is normal to feel stressed during pregnancy. But if you carry your stress to bed with you – you may find it even more difficult to fall asleep. So before you go to sleep have a conversation with someone who can reassure you. Offload your problems – to your husband, a friend or a loved one – before you go to bed so that you are not thinking of those problems when you are trying to sleep. It is normal to feel very hungry during the second and third trimesters. In addition – when you lie awake – you feel even hungrier and have cravings in the night. To avoid night-time hunger pangs and cravings – eat a balanced diet at every meal throughout the day. Eat a light dinner that gives you enough complex carbohydrates and proteins, and eat this at least two hours before you go to bed. In addition nibble on some dry fruit and/or drink a glass of warm milk just before you fall asleep. Do not give your already sleepless body and mind the caffeine challenge and keep sleep farther away. One of the easiest ways to fall asleep is to read a boring book. Listening to some slow soothing music that is repetitive and unexciting can also make you sleepy. The big baby bump – the aches and pains in your back and body – the extra weight that you have put on – can all keep you awake. Use pillows to prop up the bump and find a comfortable position by swinging your leg over a bolster. It is always better to sleep on your left side when you are pregnant as this improves the blood supply to the placenta and the baby. A relaxing massage can do wonders for your tired aching body and can help you to fall asleep easily. 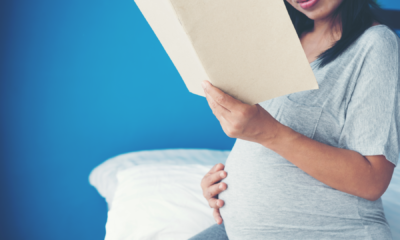 Also read What should I eat when I am pregnant? Avoid sleeping on your back or your stomach as this may be difficult for you and not so good for your baby. Sleeplessness is just one of those things you will have to deal with if you are pregnant and tackle with natural measures. Do not take medicines to fall asleep. And if you must take something for sleeplessness – always take it only after you consult with your doctor. Taking a quick nap during the day is a good way of catching up on sleep. Instead of counting the hours you slept at night – overcome your fatigue by taking a few short daytime naps. However, remember that if you sleep during the day you may not be able to sleep long hours at night. Concentrate on dealing with fatigue rather than counting the hours of sleep while you are pregnant. Rest when you are tired. Do not try to set your sleep routine to a schedule. Getting worried about not being able to sleep does not help. If you are worried, you can’t sleep all the more. Understand your sleeplessness during pregnancy, recognize that this normal at this point and do what you can to cope with it. 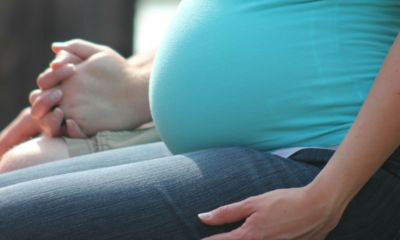 What to do about vomiting during pregnancy. What should I eat when I am pregnant?